Pizza is the ultimate food that none can resist. However, the effect that fresh-out-of-the-oven pizzas have on your customers only carries the experience so far. Whether you’re running a small pizza parlor or large national chain, the right restaurant-focused POS system can make all the difference for your customers and your bottom line. When shopping for a POS for your pizza shop, you’ll want to ensure it has the right features; direct online orders to your kitchen, fast order processing, and solid reporting. The right system will be able to tell you if you’re running low on cheese or other ingredients, so you can place an order with your supplier. In this guide, we list the best pizza-focused POS systems that will help you mitigate expenses, automate inventory reordering, and utilize customer data to your advantage. By making a custom online ordering page for your pizzeria your customers can easily place their orders of takeout and delivery. You can also keep tabs on every delivery you send to see how efficient the driver routes are and to benefit from smart time estimates. Based on cost, variance, and smart menu engineering reports by our inventory feature you can make valuable decisions. These decisions will be about the ingredients that you order. You can also perform a diagnose of the variances that occur and see what part of it has gone to waste, over-proportioning, or theft and make improvements to your workflow. Toast will help you know everything about your consumers through every single order they place in the pizza POS System–even the orders placed in person will be tracked. This will help you know about your frequent customers, how much they spend, what their pizza preference is, their location and the time intervals during which they visit. To improve operations further, some of the features can be used to offer your customers discounts or sale based on previous purchases. Cut your payment process by customizing your POS buttons. This way you can easily switch the tablet to face customers, and while they decide their order, you can take more orders on your mobile/tablet from the online customers. In Toast’s menu software, you can easily monitor or make changes to your online menu. Customize the menu items that are available for online orders and sync your changes automatically. You can let your customers bake their own custom pizza with a few easy taps on a table kiosk. Toast gives you the ability to differentiate call-ins from regular customers or new guests. The name, number, and past order history of customers who’ve ordered before are automatically displayed so you can improve their experience. Toast prices start at $100/month and go up to $50/month with every additional topping. Some other cool features that you might want to integrate into the system are the online order and delivery feature that costs $50/month. Or the mobile loyalty reward program that costs $25/month. When you initially begin using Toast, Toast provides you with a customer representative to walk you through two parts of your setup. First, Toast helps you manage the entire setup of Toast for your pizza place. Second, Toast gives you an individual customer representative to help you train all of your employees on using Toast. Additionally, Toast offers 24/7 customer service. This means anytime, anywhere you can talk to a customer service agent to help you fix any and all problems. Certain features, like its loyalty program, require an extra monthly fee. On top of that, Toast’s proprietary payments processor is the only hardware that can be used to process payments. · EMV-compliant terminals accept cash, check, etc. 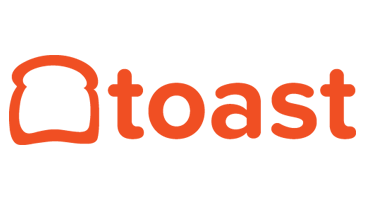 ShopKeep was established in 2010, and it’s an all-around solution for retail and pizza shops. This POS System is built from the ground up for Apple’s mobile devices, so its iPad-friendly interface is dependable and easy to use. ShopKeep is EMV-compliant and is best for small- to medium-sized pizza businesses. Plus, it’s a pay-as-you-go solution with no termination fee. ShopKeep’s register has a variety of capabilities, from ringing up items to adding modifiers, taking payments, quick discounting, easy return/refund and much more. No extra training or expertise is required to use it. The iPad button layout can be set easily and managed by the back office. What's impressive about the back office is that it includes a wealth of features. Small-scale Pizza parlors will be paying just $69/month for advanced tools that include inventory, customers data, employee data, and a variety of reports for analysis. Plus, it provides 24/7 technical support. The inventory management function is worth highlighting because it goes well beyond what you'd expect from a POS System. (Remember: This POS system is mainly aimed at small and medium-sized businesses.) You can also set reorder points and utilize a detailing capacity function to assign what, how much, and from which seller to arrange low-cost items. One of ShopKeep's current updates included a network stock component, which is a major ordeal for retailers. Clients would now be able to make a parent item and afterward include every one of the varieties and view it on one page. An extensive reporting suite is offered with the POS system and with the average cost reporting, sales reporting and sales by discount reporting. This means that by running reports you can determine how much you are spending. You can also determine what sales you should be offering in order to turn a profit. The multi-location feature enables you to view all your stores on one parent website by clicking a drop down box you can view each store reports. A comprehensive view of each location is also available along with a dashboard review. Shopkeep's pocket app lets you see all of your data for any of your locations from any mobile device– a huge advantage if you are a traveling owner. ShopKeep costs $69/month per register, and it is a pay-as-you-go POS System that has no termination fee. If you need more than one register than for each additional register, you have to run you $69, but after three registers it drops down to $29/register per month. You will not have to pay a service or maintenance fee is required. Additionally, when you pay monthly charges, the tech fee is incorporated. Shopkeep offers nifty extras that can be added to the system include open check functionality, employee management, tip later feature, tableside ordering and more. Additionally, ShopKeep offers amazing customer service. Their service is available to you 24/7, 365 days a year. This means that even when you are at your busiest, ShopKeep has your back. You can also feel confident that the customer service agent helping you has experience in multiple retail backgrounds. ShopKeep does not offer table mapping or the option to add modifiers when it comes to customizing pizzas, but they are currently working on it. The Revel POS system is an entirely cloud-based system with an exhaustive set of features. 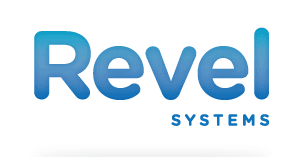 Revel Systems integrate all operations and channels into a single dashboard or real-time reports. Unlike Toast, it’s a completely iOS-based POS system that works well for small pizza joints and national chains alike. Keep and maintain a view of your inventory, what ingredients level you have all in real-time in Revel's robust reports. You can set up alerts that indicate if the stock is running low. Also, you can use automatic purchase orders to avoid any shortages. When you use Inventory features you will have confidence that your kitchen will always be stocked with the necessary items. You will reduce your restaurant's food waste with this feature. This is because you can easily identify which items go to waste through the inventory waste report. Your purchase order accuracy is improved to reflect actual usage. You can also keep detailed records of the ingredients that can help in managing recipes and making new in-house recipes. This feature lets you accept, manage and track your delivery orders from your POS system. Additionally, with Delivery Management fully integrated into your Revel POS, you can track and manage your everyday orders in real-time and wow your customers with a seamless delivery experience. You can also easily recognize return customers and their orders. On top of this, you can create delivery regions and optimize delivery routes to provide efficient delivery services. You can engage your customers and streamline checkouts with this feature. Give paperless receipts to consumers; give them the power to sign and tip on the CDS. Show your customers their order before finalizing it to improve accuracy. Customers can also engage in your loyalty program. You can customize all display and imagery based on your store's branding. By letting customers use the CSD, you can increase their satisfaction by empowering them. Increased transparency and order accuracy will create value. Create your custom menu with your design and display. Revel allows you to do this from it's system. You can design and personalize your store easily. Revel POS System price starts at $119/month (for one register). $70/ month for the second register and $40/month for every register after that. Each subscription also includes the live support 24/7 customer service, unlimited data storage, and unlimited software updates. Some extra toppings on this one include the delivery management feature, online and mobile ordering, digital menu board, kitchen display system and much more. The customer service for all three of our top picks is 24/7, but Revel’s systems offers a feature that puts it above Toast and ShopKeep. Revel has representatives stationed throughout the country. This means you can have an actual representative come into your store and help you with any major errors. The drawback to Revel is that the initial setup takes too long. As you set up the POS, you must add a huge list of menus, products, and inventory. This list can be long and tedious, especially in the case of businesses that use unique products. Another drawback is glitches in its software updates as Revel pushes out updated before they are officially launched. Most restaurant-focused POS systems have all the basics you need to get by, but here are five features to look for that will help you maximize your pizza kitchen’s potential. Pizza eaters like to customize–it’s the nature of the beast. As opposed to jerry-rigging something, built-in functionality for custom pizzas makes it far easier for customers to order, improving the experience, and easier for you to charge them accordingly. All of our top pizza POS hit this mark pretty well. Pretty much all retail and restaurant POS systems allow owners to get reports remotely, but not all of them allow you to actual run the business remotely. Check to see whether the POS you’re shopping can monitor sales and employee activity from a web browser. If someone else actively manages your pizzeria, this is probably a must-have feature. In order for your pizzeria to be EMV Level 3 Certified, you need to be able to process payments at tableside. The best way to do that is through tablets. Some POS systems allow the use of iPads and other consumer-grade tablets. There are all sorts of cases and protectors for consumer grade tablets that will help prevent damage from spills, grease, and drops. But if your POS system requires the use of proprietary tablets, make sure they are built for the rugged environment of a pizza kitchen. Your POS system should be able to track sales and build reports around customer traffic and employee activity. This will help you figure out which days are busiest and when you should proactively bake certain orders. It also allows you to schedule your employees in a way that prevents understaffing (or overstaffing) and save money. Poor inventory management is one of the biggest business expenses in the restaurant world. The right POS helps you automate the process by setting reorder benchmarks for each item based on purchase trends. It’s also the most effective way to mitigate expenses and decrease overhead inventory costs. When inventory management is used effectively, you’ll never have to disappoint a customer again by explaining you’re out of a particular menu item. Toast, ShopKeep, and Revel Systems are all excellent EMV POS Systems that work well for small, medium or large pizza parlors. However, it can be pretty overwhelming to select the right POS system for your business. Here is a recap to help you hone in on which of these three POS systems is right for your particular business. An Android-based POS system with a proprietary in-house payment process. It’s affordable, flexible, and the easiest to get up and running. An affordable pizza POS system that’s pay as you go and doesn’t have a termination fee. It’s designed for Apple hardware and lets you choose your own choice of payment processor. The only one of our top picks with a completely iOS-based system (iPad friendly) and representatives stationed across the country for expert help when you need it.